World Expos occur every five years and welcome tens of millions of visitors, allowing countries to build extraordinary pavilions, showcase industrial progress and drive infrastructure projects, transforming the landscape of a city for years to come. They are discussion forums aimed at finding solutions to the universal challenges of our time, such as urbanism (Expo 2010 Shanghai) or nutrition (Expo 2015 Milan), and are opportunities to showcase British education, technology, tourism, culture, business, skills, creativity and innovation. In 2013, the UAE was announced as the host for Expo 2020 with the UK confirming its participation in 2016. This is the first Expo to be held in the Middle East, Africa and South Asia (MEASA) region. Expo 2020 Dubai provides the UK with an unprecedented opportunity to showcase British innovation, creativity, global leadership and collaboration in areas including: Space, Technology, Entrepreneurship, Global and Regional Development and Creative Industries. It will also be an opportunity to drive future partnerships at a pivotal time for the UK. World Expos originated in the UK and the very first Expo was held in London in 1851, The Great Exhibition of the Works of Industry. The Great Exhibition welcomed six million visitors including Charles Darwin, Charlotte Bronte and Lewis Carroll. Expo 2020 Dubai is expected to receive 25 million visits from tourists, students, businesses, thought leaders, heads of state and world leaders. Expo authorities have also predicted that 70% of visitors will be international, the largest proportion of overseas visitors in Expo’s history. Expo 2020 Dubai will run from 20 October 2020 – 10 April 2021. There will be 190 nations participating, including the UK’s major political and international trade partners. For the first time in Expo’s history, every participating country will have its own Pavilion. For six months across 2020 and 2021, the world will literally be in one place. Opinion formers, future partners for business and for the nation will be ready to meet and listen to UK points of view. World Expo is an unparalleled opportunity to accelerate exports, boost investment and UK reputation globally. Organisations wishing to participate will be able to access programmes of activity relevant to the theme of Connecting Minds, Creating the Future. 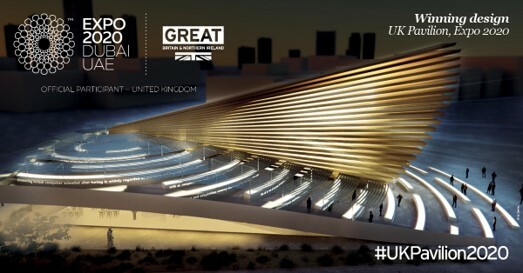 This is a unique and high-profile opportunity to partner with the UK at Expo 2020 Dubai, putting your organisation at the forefront of our presence at Expo 2020 Dubai. There are a number of sponsorship opportunities available for companies of all shapes and sizes that would be interested in partnering with UK Government. If you would like to find out more about sponsorship opportunities, get in touch; sponsorship@trade.gov.uk. Register with Expo 2020 Dubai’s new Online Marketplace, a tool that enables businesses to connect, compete and collaborate globally. The Marketplace lists all of the current opportunities available related to the design, build and delivery of the Expo, it’s a great place for businesses to find out more and apply for the opportunities. There are currently over 100 opportunities listed on the site for businesses of all shapes and sizes, you can find out more and register here.